Silent is the touching and challenging story of homeless McGoldrig, who once had splendid things. But he has lost it all – including his mind. He now dives into the wonderful wounds of his past through the romantic world of Rudolph Valentino. Dare to laugh at despair, and gasp at redemption is the brave, beautiful production for which Fishamble and Pat Kinevane won an Olivier Award for in 2016. Join us after select performances for community conversations moderated by Solas Nua and featuring special guests from DC organizations working to end homelessness in our city. Discuss the themes in Silent with your fellow audience members and discover how you can get involved with our partner organizations. Featured partners include Thrive DC, Father McKenna Center, Washington Legal Clinic for the Homeless, Central Union Mission, Friendship Place, and Miriam’s Kitchen. New partners are being added every day…check back regularly for updates! 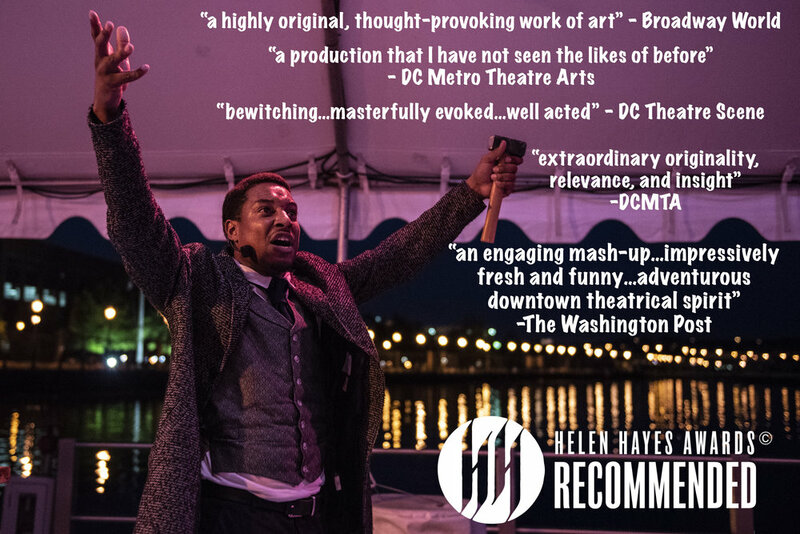 Our production of Tony Award winner Enda Walsh's MISTERMAN enjoyed critical and audience raves and was nominated for a Helen Hayes Award for Outstanding Sound Design. Read some of our press below! All of our Play Reading Series events are FREE of charge! We meet every other month on the third Monday at a private bar, downstairs at Kelly's Irish Times. Join us for an engaging evening of the best modern plays from Ireland!